My dog chewed my 5-FU. If this happened to you, get to your veterinarian or emergency veterinarian STAT, even if it’s in the middle of the night. That’s because this topical medication is deadly to dogs (and cats) when ingested. 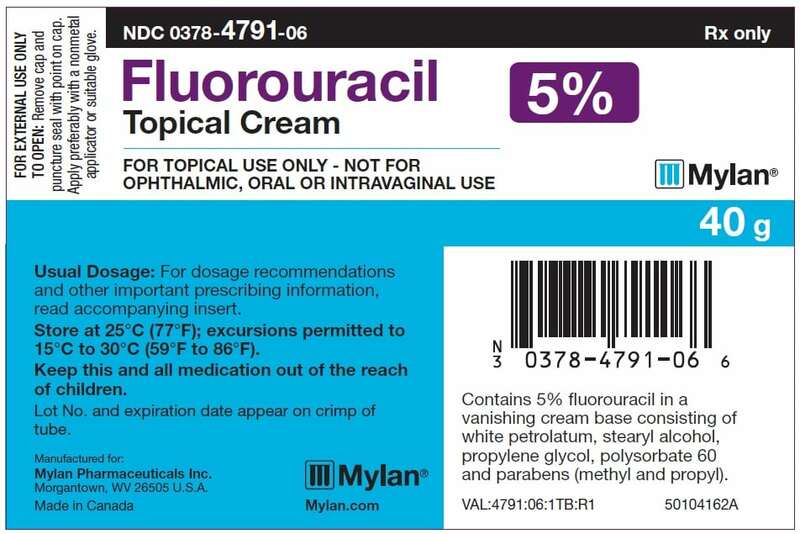 5-Fluorouracil (abbreviated 5-FU), commonly known by the brand names Efudex®, Carac®, Adrucil®, and Fluoroplex®, is a chemotherapy medication used for humans with skin cancer like superficial basal cell cancer or actinic keratosis. It is commonly sold in low concentration products (e.g., 0.5-5%), and works by inhibiting DNA and RNA synthesis and production, resulting in programmed cell death. Since people put it on their skin (and don’t ingest it orally), they don’t think it’s as “dangerous.” However, it’s extremely poisoning to dogs and as little as one tube can kill an 80 pound dog. 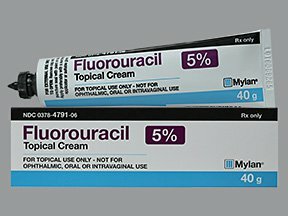 Dogs (and rarely, cats) are commonly exposed to the cream either from licking it directly off you or getting into the tube directly. So, how dangerous is it? 5-FU is actually one of the top 5 deadly poisons seen at the ASPCA Animal Poison Control Center. Just how poisonous is it? In my opinion as a veterinary specialist and toxicologist, any ingestion needs to be treated by your veterinarian immediately. The lowest reported toxic (oral) dose in dogs is 6 mg/kg, while the minimal reported lethal dose is 20 mg/kg. There is one published case report of a dog that did survive an ingestion of 46 mg/kg of 5-FU with aggressive supportive care and 24/7 hospitalization (for days). That said, the reported survival in dogs is only about 1 out of every 4 dogs (25%). Death (or euthanasia) typically occurs because of secondary complications from the 5-FU such as sepsis (due to a life-threateningly low white blood cell count), increased brain edema and brain pressure (due to persistent seizures), intracranial hemorrhage (due to a life-threateningly low platelet count), or even clotting problems. Typically blood work needs to be done 12-24 hours while hospitalized, and then every 3-4 days for 2-3 weeks to monitor the chemotherapy affects on the bone marrow. Unfortunately, by the time your dog shows any signs of poisoning, it may be too late. That’s why it’s so important to keep this topical medication out of reach – not on counters, in purses or backpacks, etc. If you do think your dog ate some, call your veterinarian, your emergency veterinarian, or the ASPCA Animal Poison Control Center immediately. Powell LL. 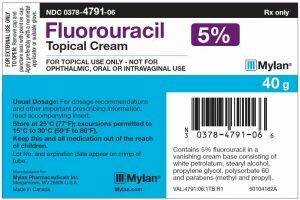 5-Fluorouracil. The Five-Minute Veterinary Consult Clinical Companion: Small Animal Toxicology. Ames, IO: Wiley-Blackwell. pp. 164-169. Dorman DC1, Coddington KA, Richardson RC. 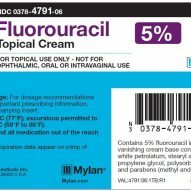 5-Fluorouracil toxicosis in the dog. J Vet Intern Med. 1990 Sep-Oct;4(5):254-7. Roberts J, Powell LL. Accidental 5‐Fluorouracil Exposure in a Dog. J Vet Emerg Crit Care 2001;11(4):281-286. © 2014 - 2019 Dr. Justine Lee. All Rights Reserved.